such as mercury, lead, cadmium, arsenic, beryllium and brominated flame retardants. When the latter are burned at low temperatures they create additional toxins, such as halogenated dioxins and furans – some of the most toxic substances known to humankind. 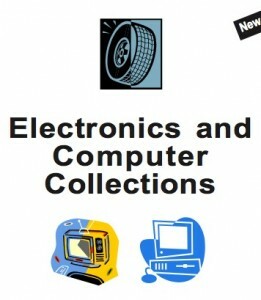 And, e-waste often ends up being shipped from the US to very poor countries where unskilled laborers – like pregnant women and little children – disassemble them and extract a few materials that are worth money to their employers, exposing themselves in the process to hazardous chemicals and the probability of shortened life expectancies. They are given neither danger warnings or protective gear. 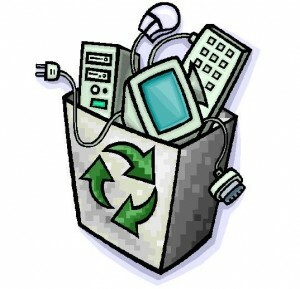 70-80% of the e-waste that’s given to recyclers is exported to less developed countries. Once there, primitive technologies such as open air burning and riverside acid baths are used to extract a few materials. The rest of the toxic materials are usually dumped. Unlike other countries in the world, the U.S. sends a significant portion of its hazardous e-waste to U.S. prisons to process in less-regulated environments without the worker protections and rights afforded in the private sector. Moreover, such operations amount to government subsidies, undermining the development of responsible private-sector recycling infra-structure and distorting the economics of recycling. The speaker at that seminar responsibly recycles e-waste, but only for big corporations. They’re not going to take just a few old, broken down laptops off my hands, so what should I do with them? Knowing the correct terminology is useful when searching: I googled “computer responsible recycling” and a few clicks later, learned that there is an e-waste steward right in my town. I’ve emailed that company and hope they’ll soon take those relics off my hands and dispose of them without destroying anyone or my family’s air and water supplies. 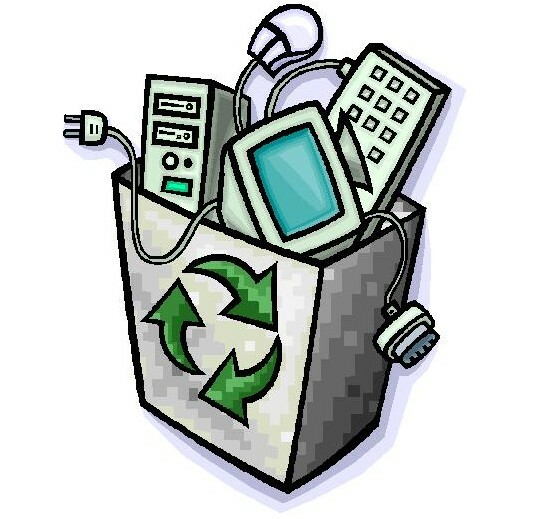 You can give your computer away to be refurbished and shipped overseas if it’s reasonably new and works, or look over this guide to learn how to recycle your electronic item responsibly.